I will be a guest on WNYC 93.5 FM's "All of It," hosted by Alison Stewart, to discuss The Story Prize: 15 Years of Great Short Fiction, published by Catapult. If you don't live in the New York area, you can listen on WNYC's website, which streams live. This is the official publication date of The Story Prize anthology from Catapult. 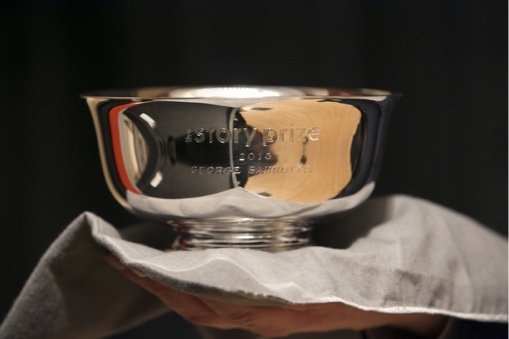 The book collects a short story from each of the 14 past winners of The Story Prize, set up by excerpts from the onstage interviews with each writer or their TSP blog posts or judges' citations. General admission tickets are $14. You can buy them in advance online or the evening of the event at The New School (66 W. 12 St.). Come to The Story Prize event on March 6 at The New School, and you'll not only get to see and hear writers Jamel Brinkley, Deborah Eisenberg, and Lauren Groff read from and discuss their work on stage but you'll also get to take home an eight-page, full-color program (cover below) designed by artist Calli Ryan. 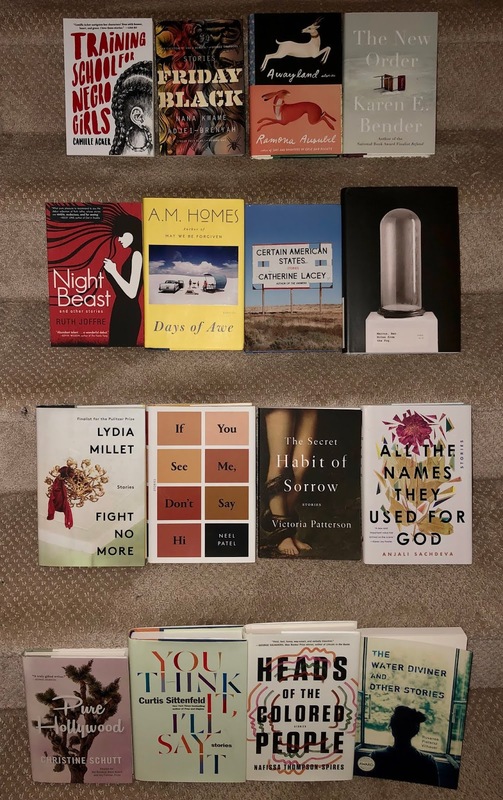 At the event, you'll have the opportunity to buy from bookseller McNally Jackson signed copies of each author's short story collection, as well as copies of The Story Prize 15th anniversary anthology. General admission tickets, which cost $14, are available online or at The New School Box office the evening of the event. In 2018, The Story Prize received as entries 108 books published by 79 publishers or imprints. We choose the shortlist of three finalists first, then release our longlist a few weeks later because it's difficult to narrow the field down—especially when so many of the books we read are worth a second look. Our longlist can only represent a limited number of books and of necessity leaves out dozens of good short story collections. To be sure, not every book we read rises to such a level. Nonetheless, every writer who published a short story collection last year accomplished something significant and deserves an enormous amount of credit. 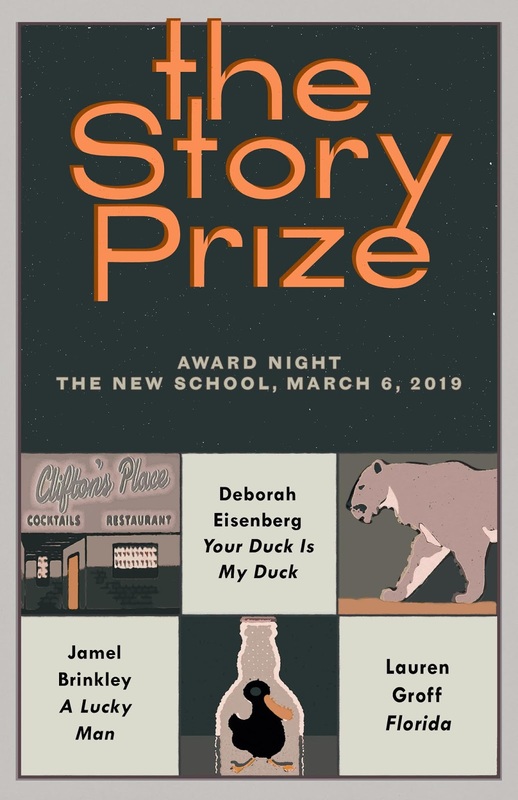 We'll announce the winner of The Story Prize at an event co-sponsored with The New School's Creative Writing program at the auditorium at 66 W. 12 Street on March 6. At the event, finalists Jamel Brinkley, Deborah Eisenberg, and Lauren Groff will read from and discuss their work. You can buy tickets in advance online or that night at the box office.